Until January 2016, the Vitra Design Museum in Weil am Rhein presents the work of young Dutch designer Christien Meindertsma. cover image: “Christien Meindertsma: Beyond the Surface”, Installation view © Vitra Design Museum, photo: Bettina Matthiessen. Meindertsma belongs to a new generation of designers – mostly coming from Northern Europe – who look at design in a different way, by investigating and questioning how products are currently manufactured, commercialized, and used; as well as by challenging the conceptual and economical models behind such processes. 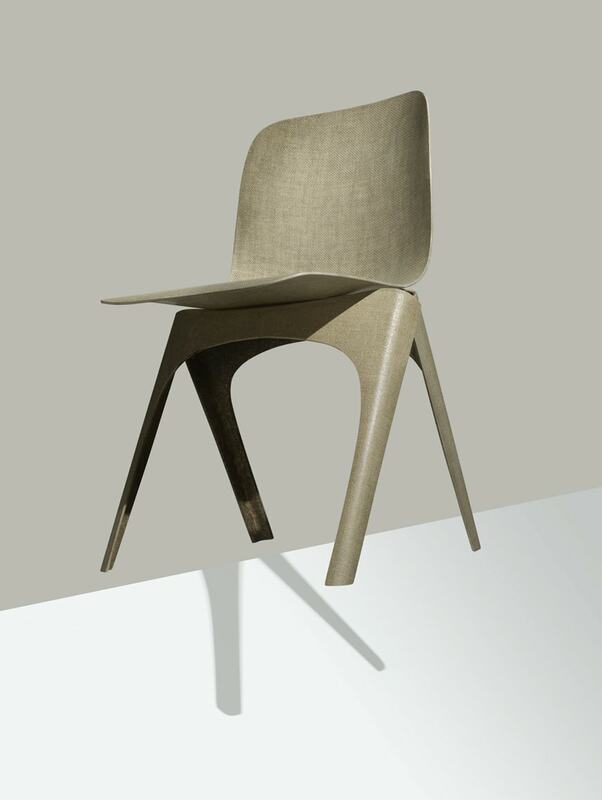 For Christien Meindertsma, the creation of a product is only one element of the design process. In her unique approach, she explores the mechanisms of modern industrial production, undertaking expeditions to factories and conducting meticulous detective work at waste disposal sites and workshops. 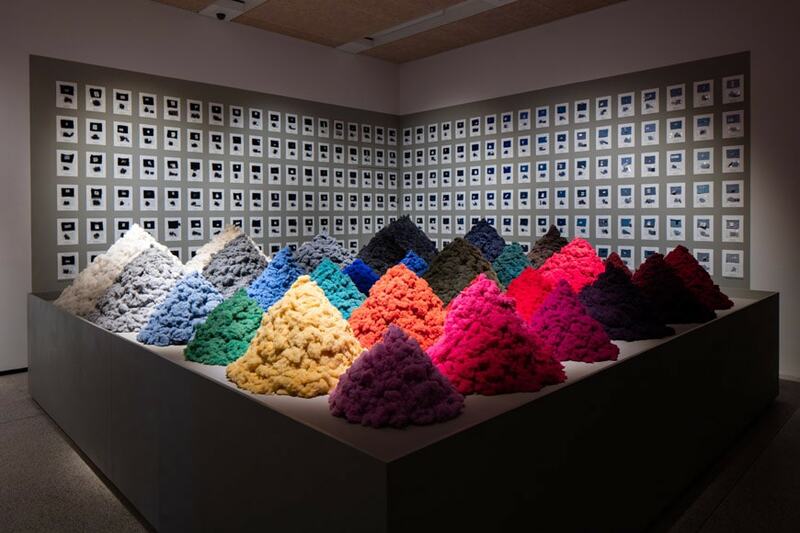 The exhibition focuses on Christien’s work with the materials of wool, flax, incinerator bottom ash and recycled wool. 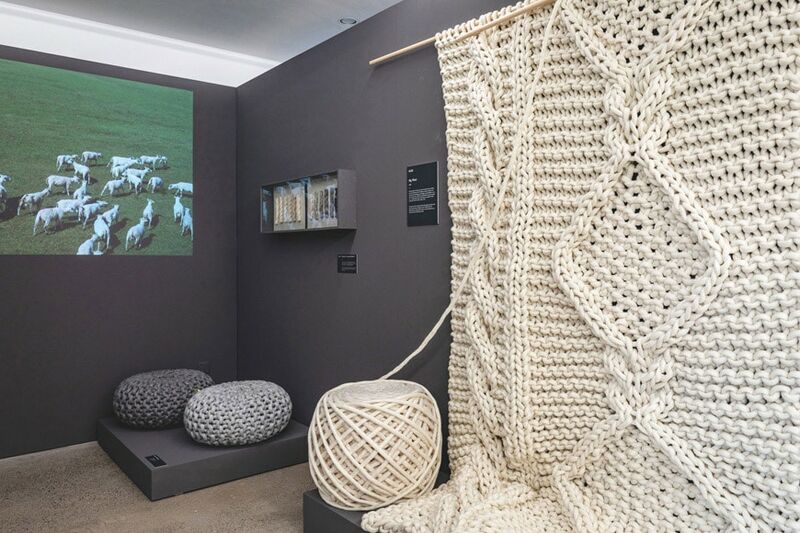 On display are projects such as the “One Sheep Sweater” (2010) – for which she produced garments from the coats of individual sheep – or the “Flax Chair” (2015), an innovative, sustainable piece of furniture made from a now rarely used material, which was nominated for the New Material Award (2016) and won the Dutch Design Award (2016). “Christien Meindertsma: Beyond the Surface”, Installation view © Vitra Design Museum, photo: Bettina Matthiessen. 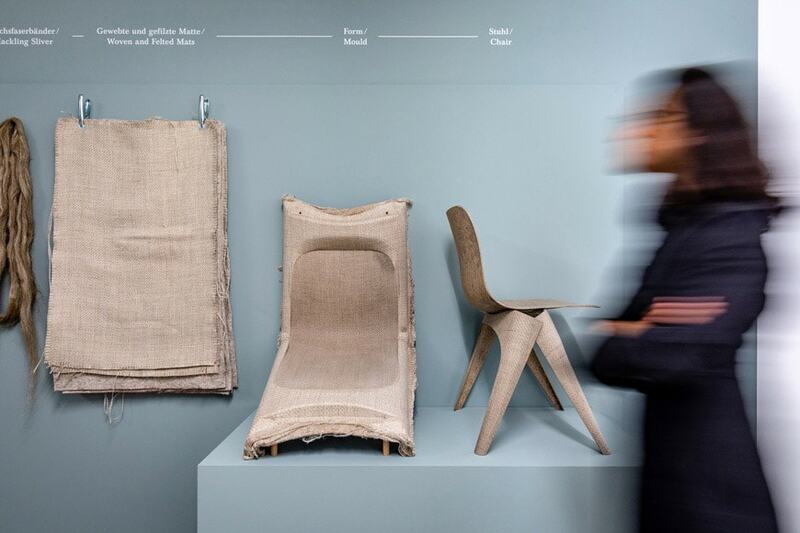 Christien Meindertsma, Flax Chair (2015) © Christien Meindertsma, photo: Roel van Tour, Mathijs Labadie. 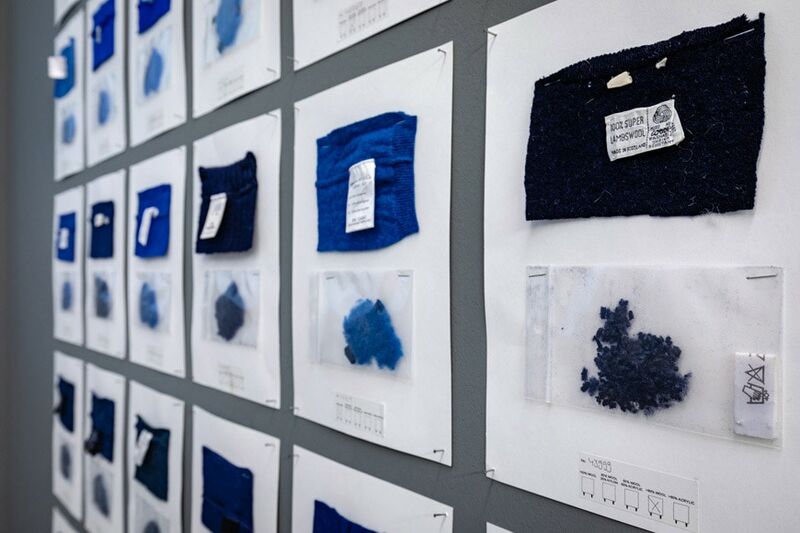 As the title “Beyond the Surface” suggests, the exhibition does not merely concentrate on finished products, but also encompasses material samples, prototypes and photographs. A particular focus lies on the production processes behind the completed object, which Meindertsma captures by means of films and publications – a method she refers to as “documentary design”. This renders visible how deeply the designer dives into her subject matter, often exploring a topic for long periods of time and positioning one completed project as a launch pad for the next. Meindertsma is driven by such questions as: What are the effects of globalized production chains? What is the value of local production? How does commodity trading work? And, again and again: Could this be done differently? While the final results of her research vary greatly, they are all united by her interest in the origin of products, their processing, sustainability and transparency. 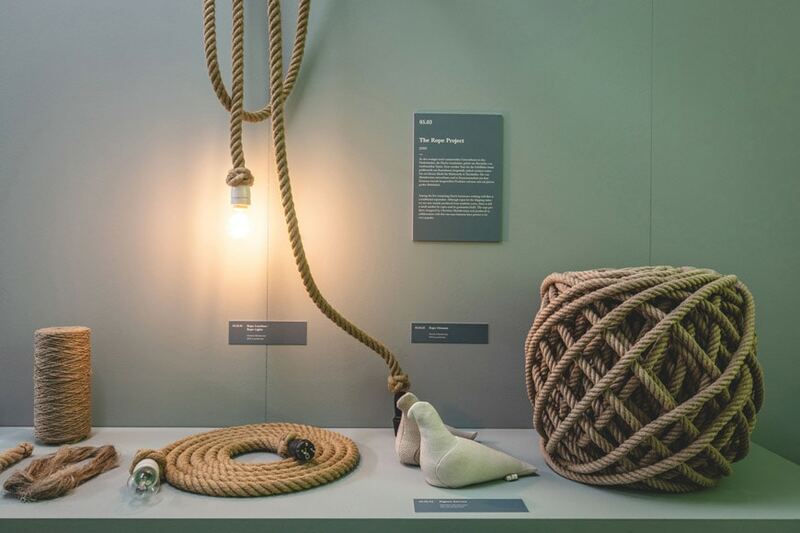 Christien Meindertsma’s work and attitude demonstrate that design is not only the act of creating physical objects, but also a means to critically engage with our established modes of consumption and to disrupt thinking patterns in favour of positive change. above: “Christien Meindertsma: Beyond the Surface”, Installation views © Vitra Design Museum, photo: Bettina Matthiessen. © Christien Meindertsma, photo: Luke Hayes.